Caravan Hound is the other name of this dog breeds. This breed of dogs is commonly used for hunting and guarding houses or factories. Indian dog breeds price ranges from 7k to 10k rupees. Taji is another type of slight hound breed of dog which is strong and athletic. They look agile and are also beautiful. These dogs are commonly used for hunting of wildcats, fox, Marmot and Gazelle. Vanjari Hound dog breeds is basically an Indian dog breed which is said to be used by nomadic Vanjari of Maharashtra. These breeds are basically used as a guard dog or herding dog. The price of this dogs is not known as they are rarely found. The Jonangi dog breeds are said to be locally shown during Andhra Pradesh beach festivals. However, these breeds are not recognized in major kennel clubs. This breed of dogs is said to be a perfect watch dog. KaiKadi breeds watch over herds and also vermin. They guard large open areas and are not suited for urban houses. Indian dog breeds price ranges from between 7k to 12k. Popular hound is the other name of Rajapalayam dogs. These breed of dogs are said to be primarily used by Nayakar Dynasty of Tamilnadu. This comes under the Indian dog breed list. The name given to Kanni dog breed is the Beastmaster. This is said to be a rare south Indian breed found in the state of Tamilnadu and is mainly used for coursing game. 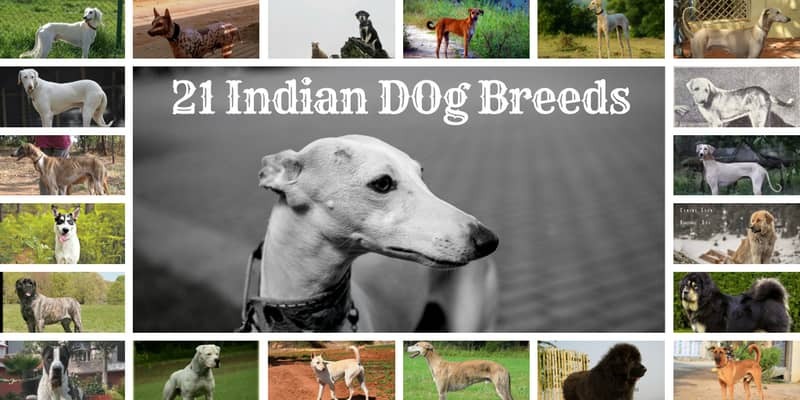 The Indian Pariah Dogs are said to have been originated from the Pariah tribe of Tamilnadu. I’m the olden times these dogs were considered as an outcast. However, this breed of dogs comes under Indian dog breed list. The price of this dog breed is 1.5k to 2k. The Chippiparai dog breed gets its name from Chippiparai town in Tamilnadu, India. These breed of dogs are mainly used for hunting deer, Wild Boer, and hate. They are also used as watchdogs. Indian dog breeds price ranges from 6 k to 8k. Usually, this variety of dog breeds likes to hunt down rodents and pigeons. It has great energy, zeal, and enthusiasm. Indian dog breeds price ranges from 3k to 5k. The Gaddi Kutta dog breed is most commonly found in Northern India, especially in the Himalayan region. 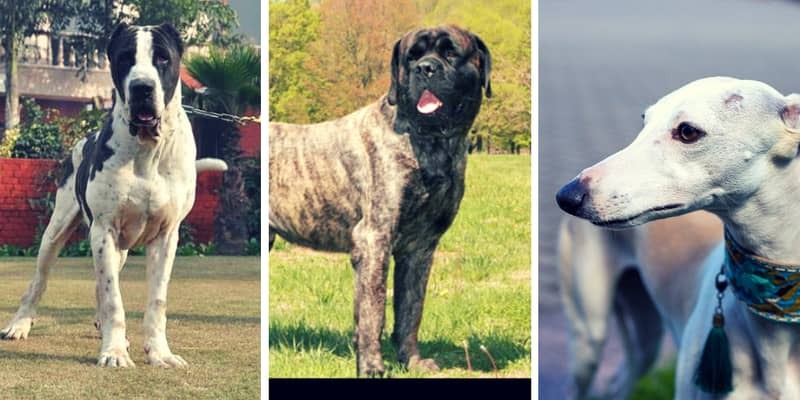 The other name of this dog breed is ‘Indian panther hounds and Maidana Mastiff. Price of Gaddi Kutta: 2k to 5 k.
This breed is mostly found in Tamilnadu and also in bordering areas of Kerala. This is a terror like a dog breed which is extremely powerful, loyal and also intelligent. Combat price is around 4k to 6k. The Bakharwal dog breed is mostly found in the state of Jammu and Kashmir in India. This breed is said to have been bred by Bakharwal and Gujjar nomadic tribes. Bakharwal dog price: 2k to 5k. The Rampur Greyhound go its name from the place that lies in North India. According to history, it is said that the king of Rampur developed this breed. Indian dog breeds price ranges from 4k to 6k. Indian Mastiff and Billing are the other names of Kumaon Mastiff and is said to be a rare breed of working dog. Its origin is from the Uttarakhand, India. Indian dog breeds price ranges from 12k to 19k. This breed of dog is mainly used for guarding and hunting purpose. Pandikona Dog breed are territorial and are very fearless. The Himalayan Sheepdog is said to be a guardian dog from Nepal. This breed is also known as Bhote or Bhatia and in appearance, it is closely similar to Tibetan Mastiff. Indian dog breeds price list: 15k to 25k. This dog breed is said to have been originated from Punjab and Sind region of India. Bully Kutta dog breed has great stamina, power, good fighting skills and fearless in nature. Indian dog breeds price ranges from 18k to 35k. The Alangu breed is said to have been used by the Persian army for the purpose of guarding Persian soldier campsites and enemy prisoner of war. Indian dog breeds price ranges from 12k to 22k. The Santal Hound breed was used by Santal tribe for hunting purpose. Indian dog breeds price ranges from 2k to 3k.